It’s easy peasy to get started with PeopleMaps. Sign Up for your account, and you can be reading candidate reports in minutes. You don’t need to wait on a phone call from us – every stage is automated. 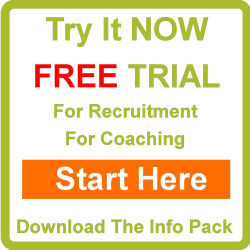 Click on the Employers Start Now button to the right and you will be offered the opportunity to complete the questionnaire and read your very own free personality report. Don’t want to do that? Then you can skip straight to a short registration form which lets us give you access to the correct services. After you’ve registered, you have full access to the system. There is no trial period. You can buy as little, or as much as you want. There’s no minimum order. If you want just one single report, that’s all you need to buy.